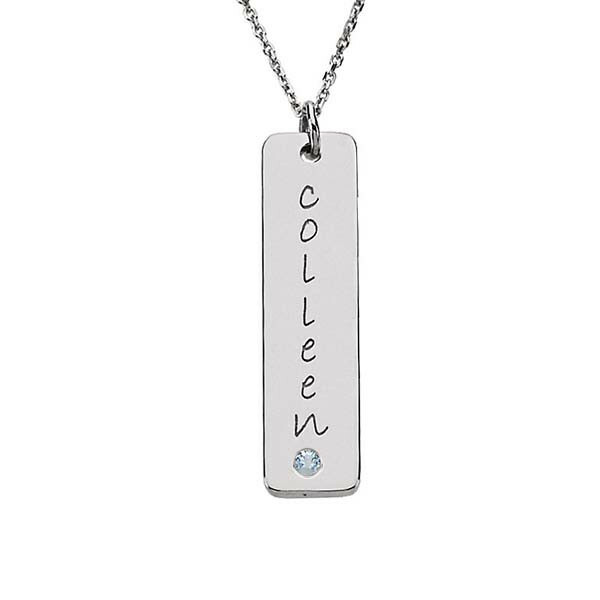 Babies, birthdays and a host of other occasions are a great reason to buy Mother's Jewelry, like this engravable pendant from Posh Mommy. The long and lean sterling silver piece features a simulated aquamarine stone, representative of those born in March, with enough room to engrave an eight character name or date. String your silver chain through the bail or purchase one separately. The tall tag pendant is a terrific addition to a jewelry collection!